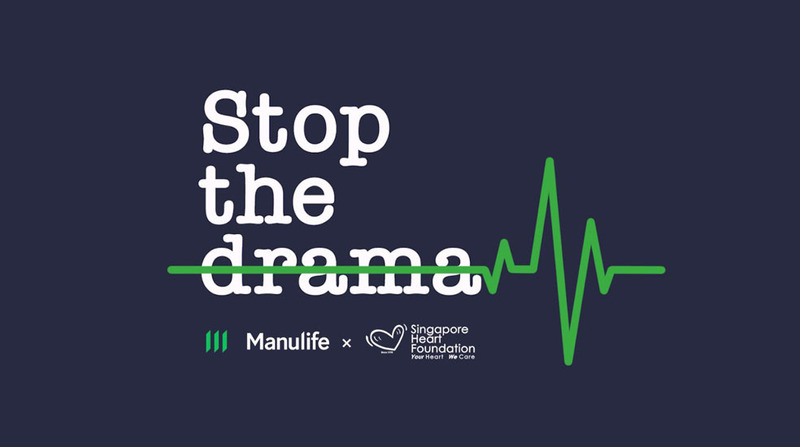 Manulife Singapore has launched its latest campaign, ‘Stop The Drama‘, to help educate people about the subtle warning signs of real-life heart attacks. It follows a recent Manulife Heart Health Survey, with over 500 respondents, which revealed that the lack of awareness around warning signs and risk factors is still dangerously high among Singaporeans. Tong, emphasizing the importance of authenticity in performance, and the responsibility of actors to portray the truth. The masterclass film, featuring five promising young Singaporean actors, is also used as a vehicle to educate viewers on the early and less-known signs of heart attacks, including light-headedness, shortness of breath, sweating, tingling in the arm, jaw ache, neck ache, and back pain. Lim Kay Tong’s personal experiences lend weight to the initiative as he discusses, in an exclusive interview, how his wife was lucky to survive what could have been a deadly heart attack by recognising early symptoms of artery blockage. The campaign forms part of Manulife’s overarching focus to be a trusted health partner, helping customers establish long-term healthy lifestyle habits and rewarding them for staying active. Since the launch of the campaign, artists and directors from Asia have joined a growing movement, called #stopthedramanow. On World Theatre Day (March 27), they will pledge on social media to only portray authentic heart attack symptoms in their future projects – a rallying cry that they hope will inspire their colleagues across the globe to do the same.